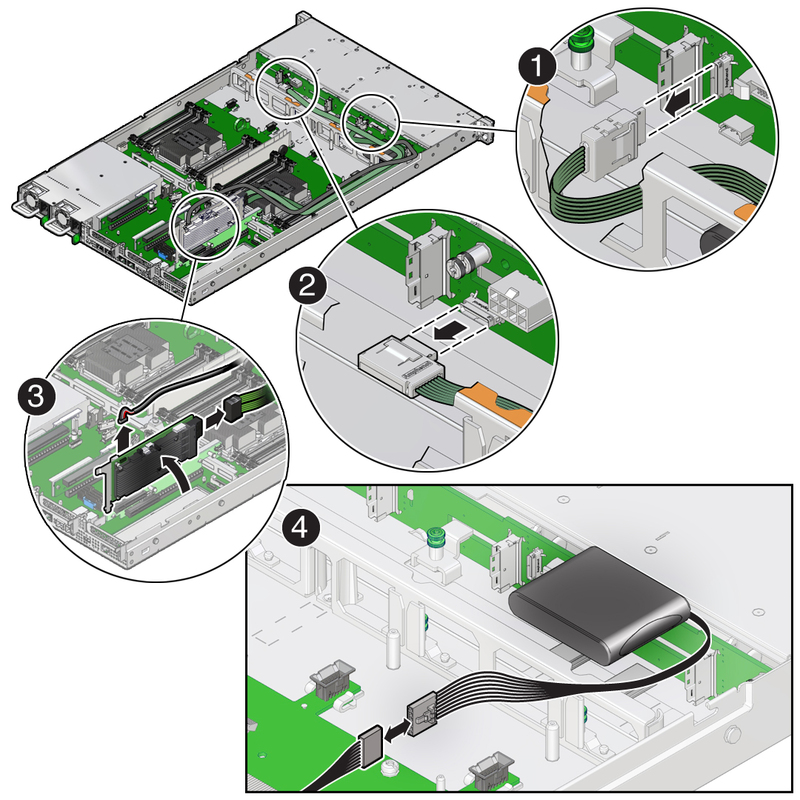 Disconnect both SAS cables from the disk backplane by pressing the latch on the cable connector and then pulling out the connector [1, 2]. Disconnect the SAS cables and the super capacitor cable from the internal host bus adapter (HBA) card. Remove the PCIe riser from PCIe slot 3 and 4. Press the SAS cable connector latch and then pull out the connector . Grasp the super capacitor cable connector and pull it out . Disconnect the super capacitor cable from the super capacitor . Note - You might need to disconnect the data cable from the disk backplane to ease access to the super capacitor. Carefully remove the SAS cables and the super capacitor cable from the server.